The day after I came back from my trip from Malta, I was invited down to the soft launch at One Leicester Street restaurant. Before its time, One Leicester Street used to be occupied by St John hotel, there’s bar on the other floor, but it was the restaurant I visited. I was greeted by staff immaculate dressed in their uniforms. 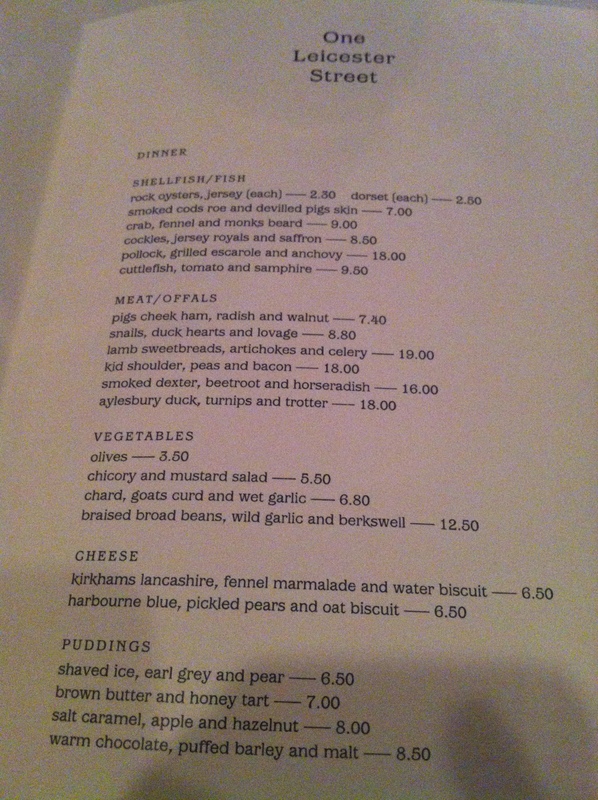 They were very knowledge with answering my questions over the menu; Tom Harris is still head chef for the restaurant. 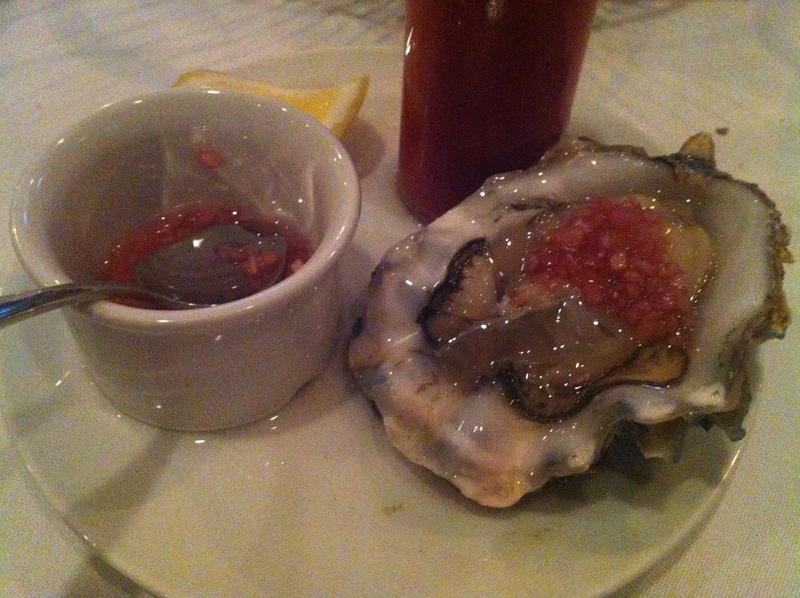 For starters I had to get my favourite oysters, rock oysters are the only ones available. Dexter meat is something I haven’t come across on menus before; it’s a black cattle breed, small sweet and beefy with well-marbled flesh. 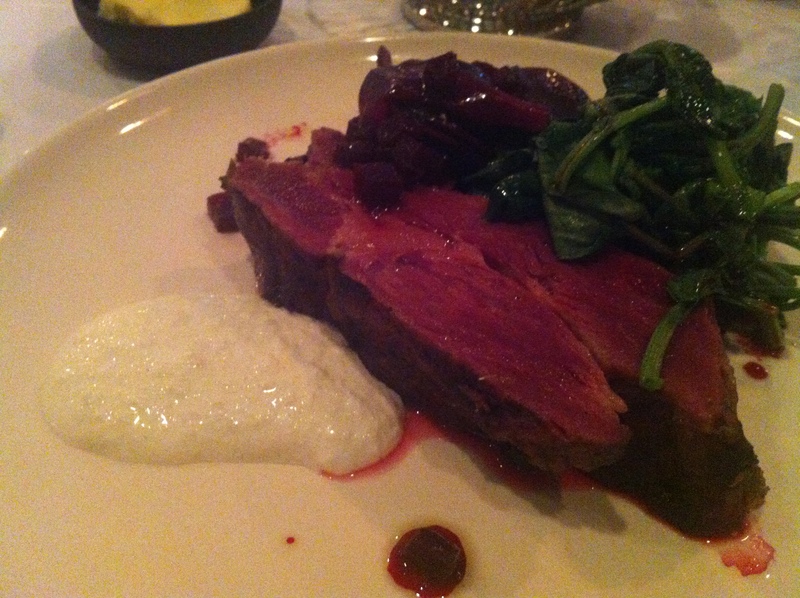 The plate came with a ruby red meat, with greens, beetroot and horseradish. 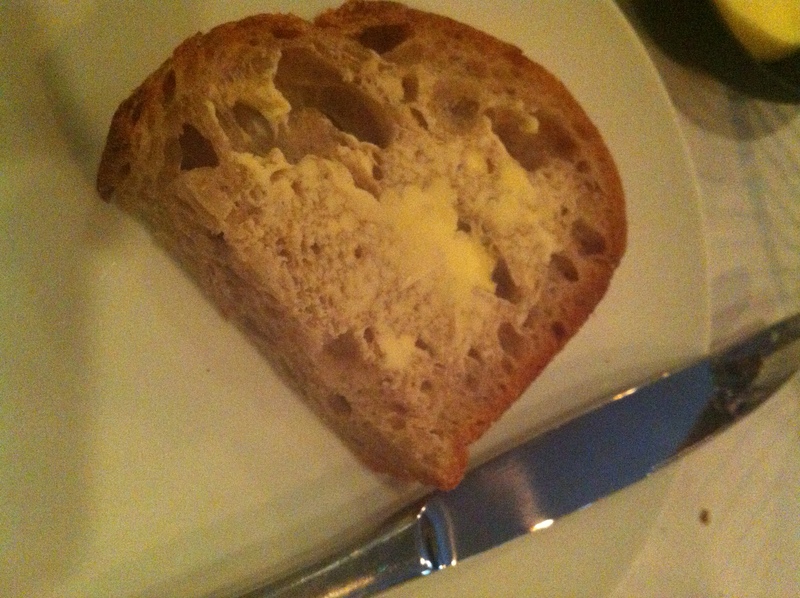 I loved the quirky interesting flavour profile of sour, sweet and beefy flavours. 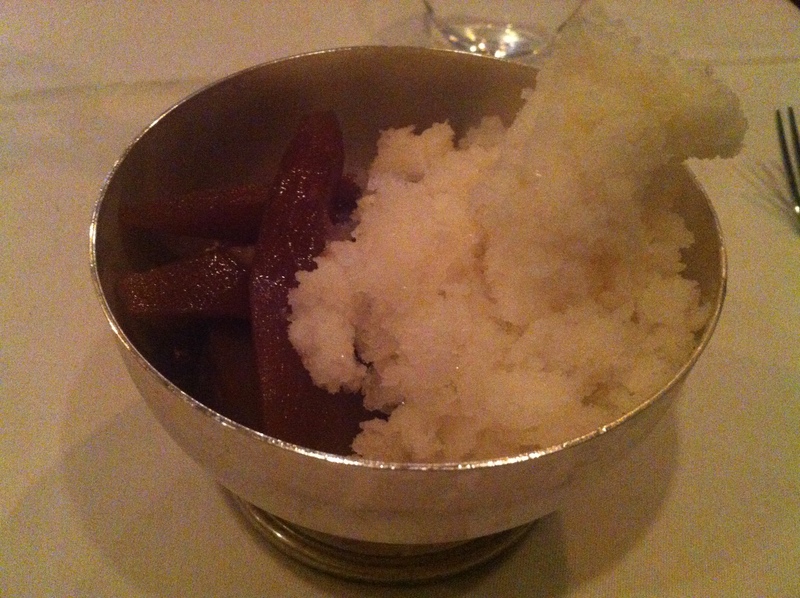 The desserts were another interesting dish, an earl grey infused shaved ice, with a caramelised poached pear. Refreshingly light and delicious, the shaved ice was pleasurable. Overall, I enjoyed the quirky and interesting flavours One Leicester Street had to offer and I’m interested in visiting again to explore the rest of the menu and bar.